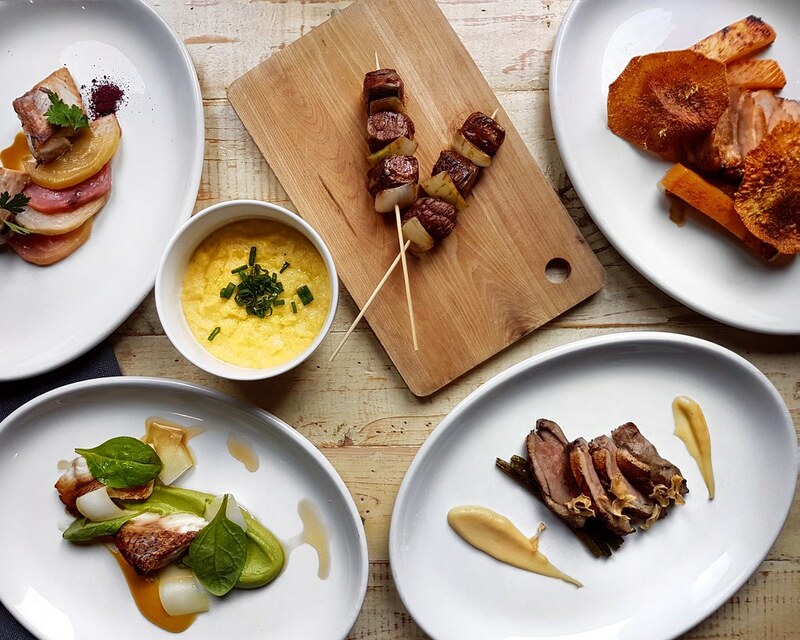 Opened in May 2017, Audace Bar & Restaurant also short for "Audacity" is a whole new concept built on the idea of bistronomy (bistro fare with a contemporary twist). It is helmed by Chef Jeremy Gillon hailing from Le Montana in the French Alps where he was executive chef of a trio of restaurants and led French restaurant L'Epicurien to receive its first ever Michelin star in 2015. So, what makes Audace "audacious"? Its audacious demeanor begins with its locale in Little India, within the quirky Wanderlust Hotel. Rather than serving up audaciously bizarre concoctions on the menu that one may expect, the restaurant presents an ever-changing sensational offerings of French bistro fare with contemporary touches, working food alchemy magic with a combination of imported and Tekka market-sourced ingredients, as well as infusing components with wild herbs thoughtfully foraged from the French Alps. 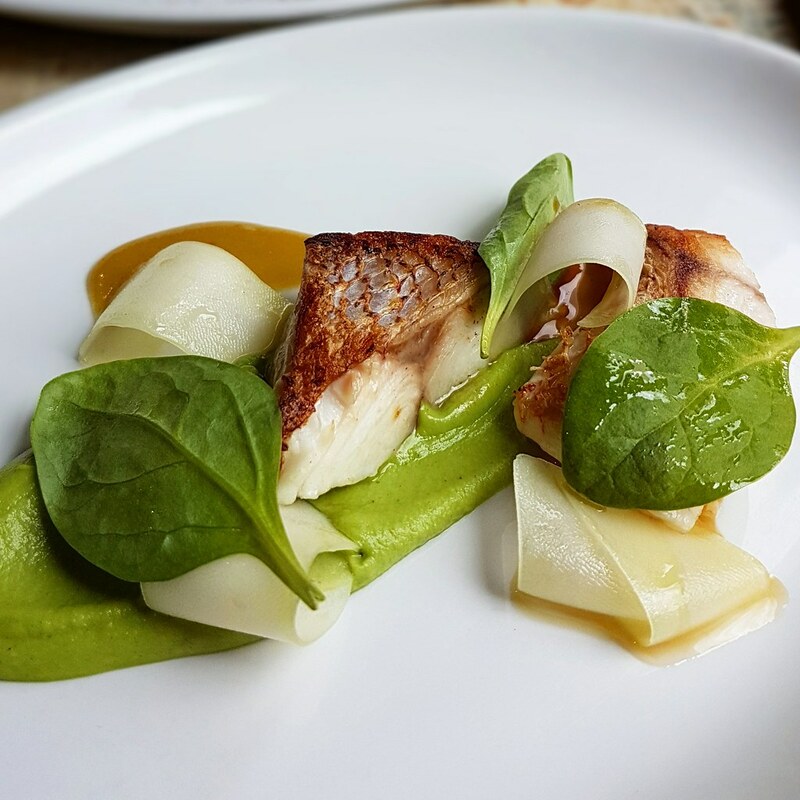 Here, Audace offers a more relaxed, casual and approachable fare to curate an unforgettable dining experience different from the traditional mould of Michelin star fine dining. Open throughout the day from Tuesday to Sunday, Audace provides a continental breakfast spread and an afternoon tea selection of sweet treats. On Sundays, it offers a communal brunch, consisting of 6 Appetisers, 5 Main Courses, 5 Side dishes and 5 Desserts placed in the centre of your table for sharing. 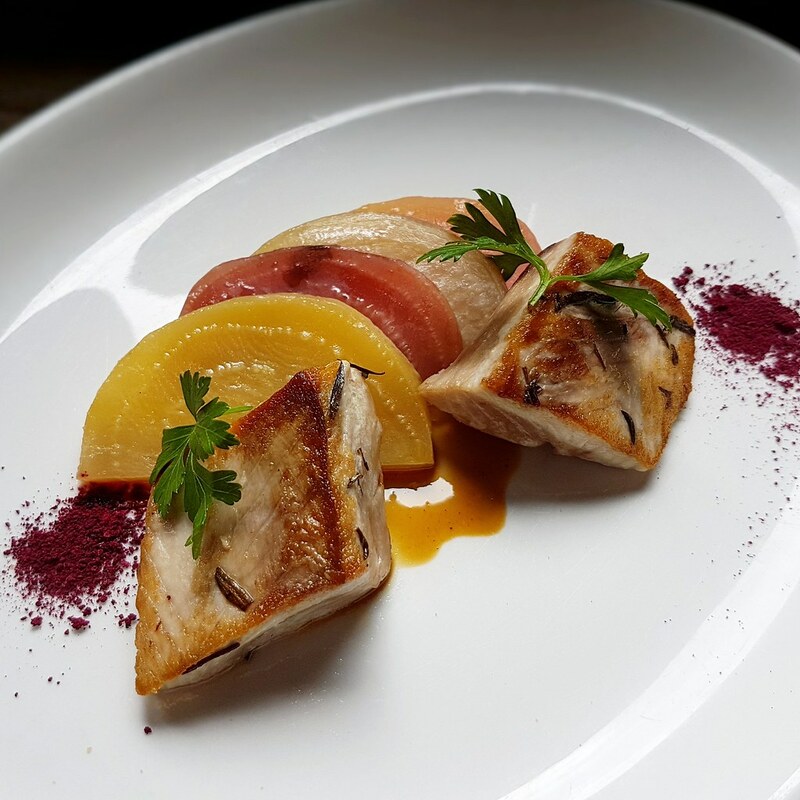 We tried the 16-dish Sunday Brunch menu rolled out by Audace. Do note that dishes on the menu are subject to changes due to the seasonality of the ingredients used. 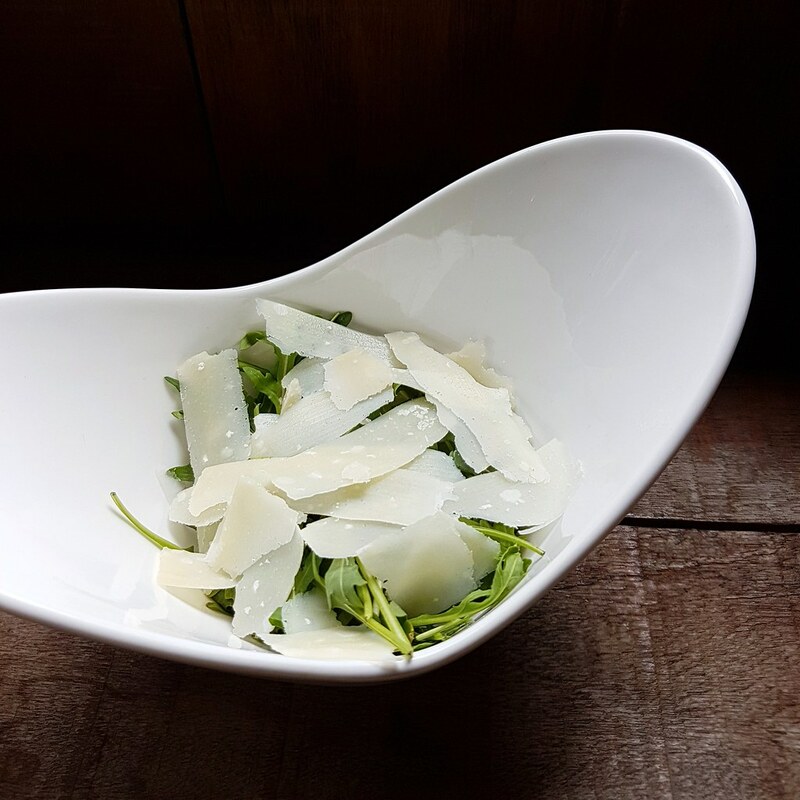 For the appetisers, we had the Arugula Salad with Parmesan, Lemon and Olive Oil Dressing. The argula salad boasts a crunchy texture while its accompaniments, an abundance of parmesan pieces atop and olive oil dressing bring a lift to its taste. 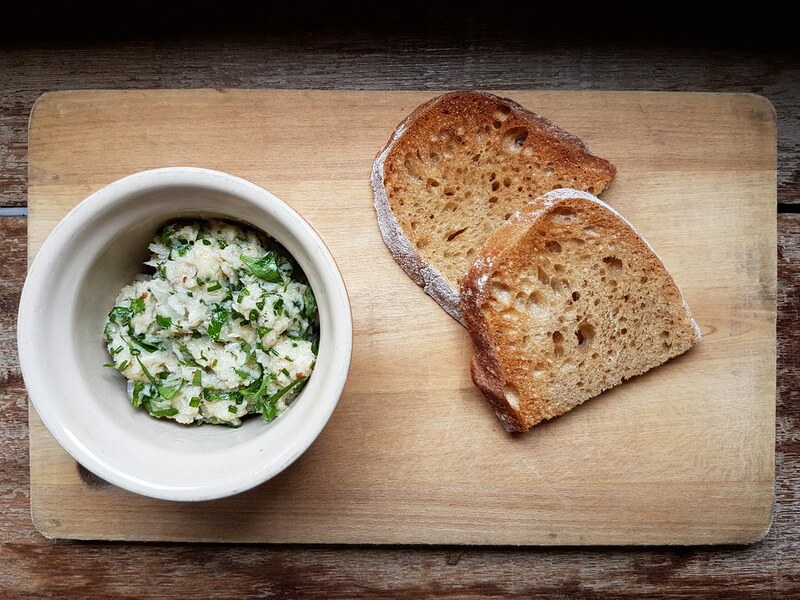 The Shark Rillette comes in a small bowl and an accompanying side of crusted bread. Creamy with a slight crunchiness in between bites, the shark rillette may be a tad too salty when eaten on its own. It acts as a spread on the bread provided to prevent it from being too overpowering. 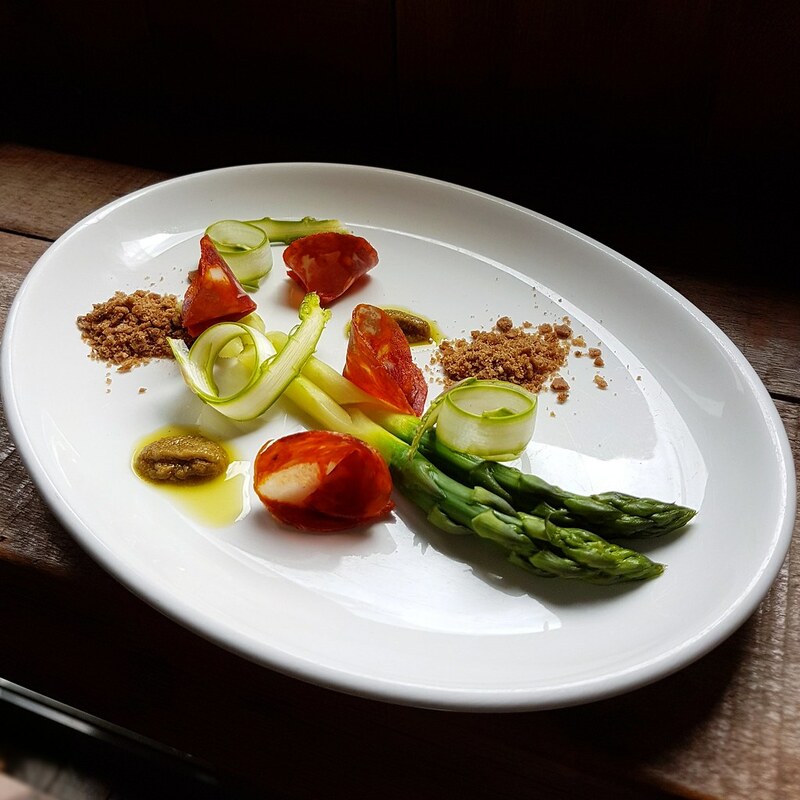 The Asparagus Salad Chorizo Iberico features two stalks of asparagus with a nice crunchiness and subtle sweetness, while the thin slices of fresh chorizos add a rich savouriness in accompaniment, resulting in an appetiser that is refreshing and light on the palate. 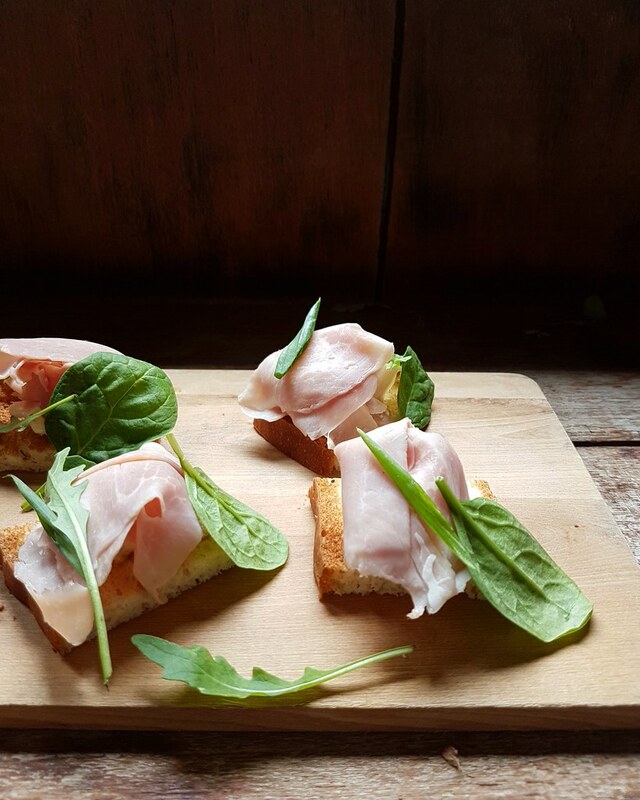 For a more carb-loaded appetiser, the Focaccia with Cooked Ham & Mascarpone Black Pepper features small pieces of mildly salted cooked ham garnished with mascarpone black pepper sitting atop slices of focaccia bread, which is essentially flat oven-baked Italian bread with a crisp texture. 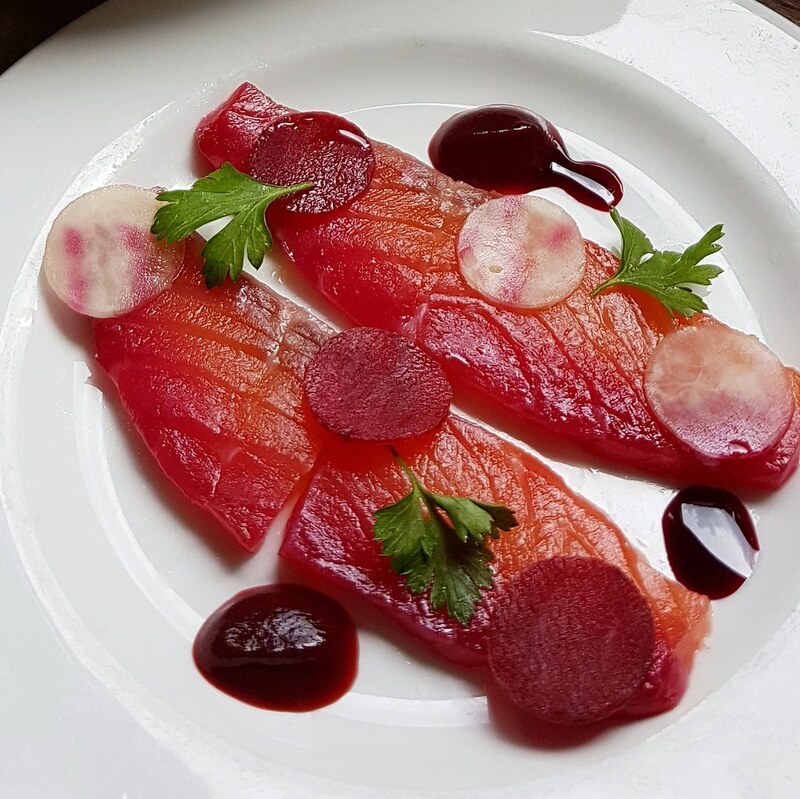 The Salmon Gravlax Beetroot comes in slices of fresh smoked salmon. Paired well with the thinly sliced beetroot and puree on the side for a refreshing combination. 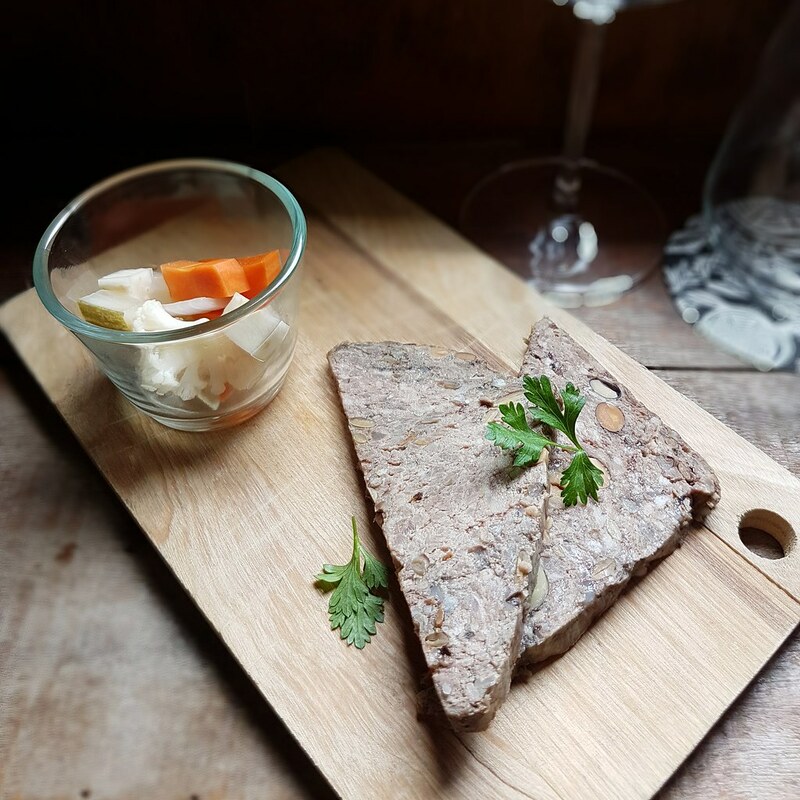 The Duck Terrine & Pickles is slightly heavier on the palate and stronger in taste with its tender duck terrine meat, which imparts a mild saltiness and paired with sourish pickles that has a harder tart texture to complement the soft duck terrine. Moving on to the mains, we had the Grilled White Tuna, Origan. The white tuna had a perfect grilled crisp skin which reveals the meat within with a softness and tenderness that just melts in the mouth. It sits on a bed of Origan mash which complements the tuna well with a subtle herb fragrance. The Red Snapper with Kafir & Orange Paste Dressing left an impression with its tender meat that breaks easily in the mouth, with accompaniments of kafir and orange pasta dressing which adds a citrusy note to the dish. The Braised Pork Belly features a perfectly crisp skin with an almost half-half ratio of fats-meat within. 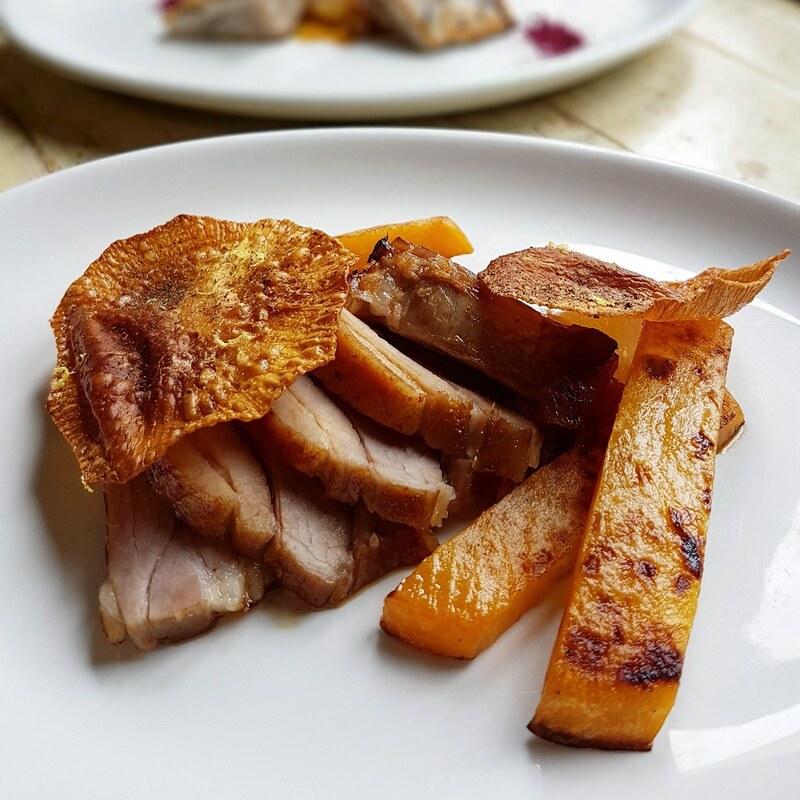 It results in a sublime slice of pork perfect for pork belly lovers who perhaps prefer a greater proportion of fats in their braised pork belly meat. The crunchiness of the accompanying chestnut slices and crispy crackers add a texture to the dish though the flavours in the combination are too fleeting to leave much of an impact. The Smoked Breast Duck is presented in neat slices of duck breast meat. 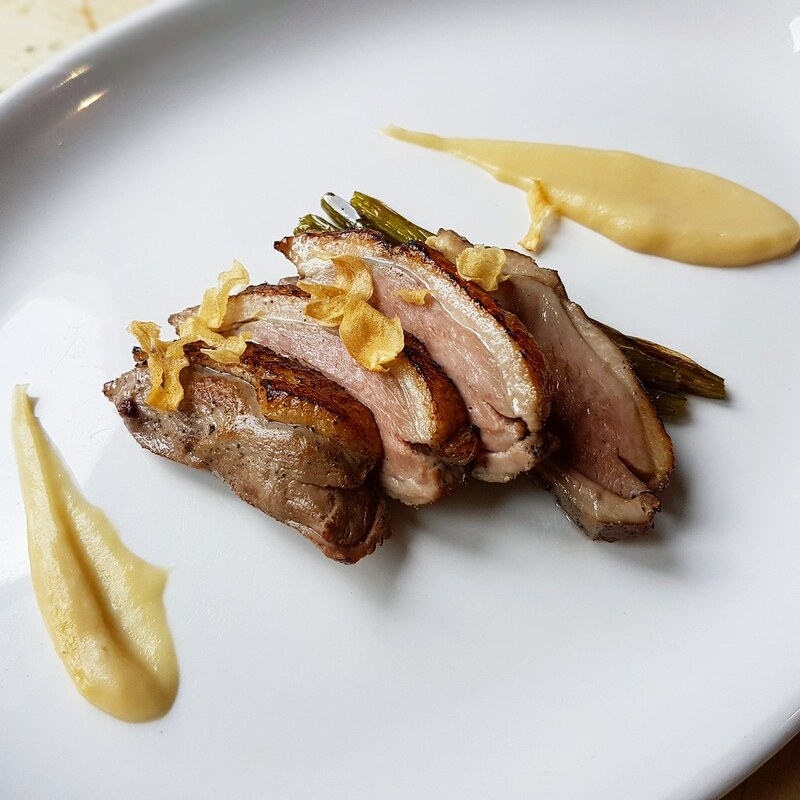 Tender, juicy with a slight smokiness in its taste, the chestnut mash smeared on the side is a nice touch to the duck breast meat. 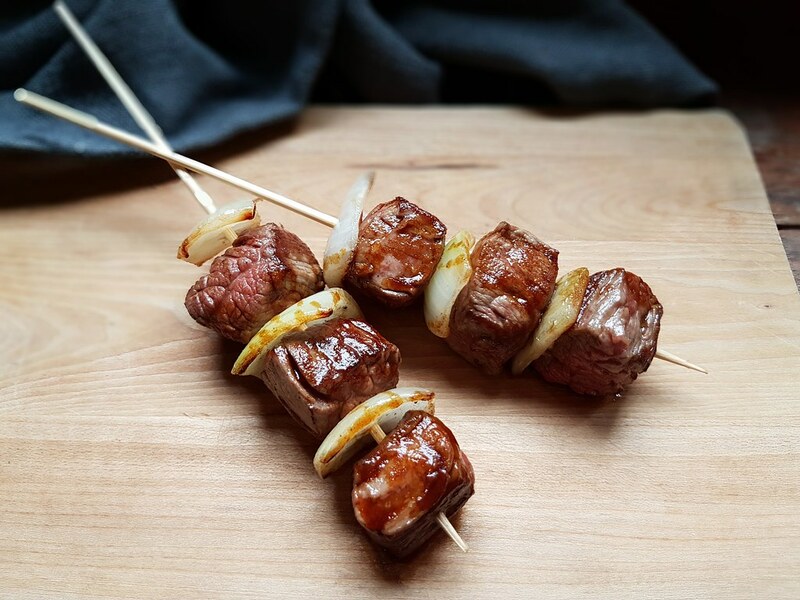 The Skewer Flank Beef comes in glistening cubes of beef stacked neatly on a skewer, with some bits slightly tougher but the rest of it is enjoyable with a smoky taste, almost to the point of being tender yet retaining a resilient bite. 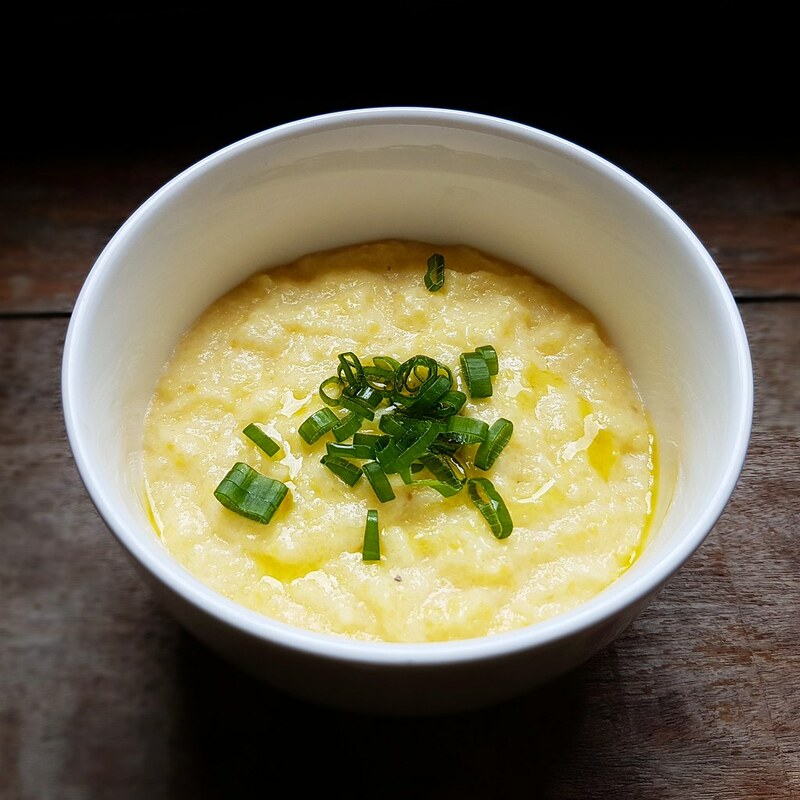 The Creamy Polenta served as a side dish – creamy textured and buttery tasting, is a perfect complement to the mains served. 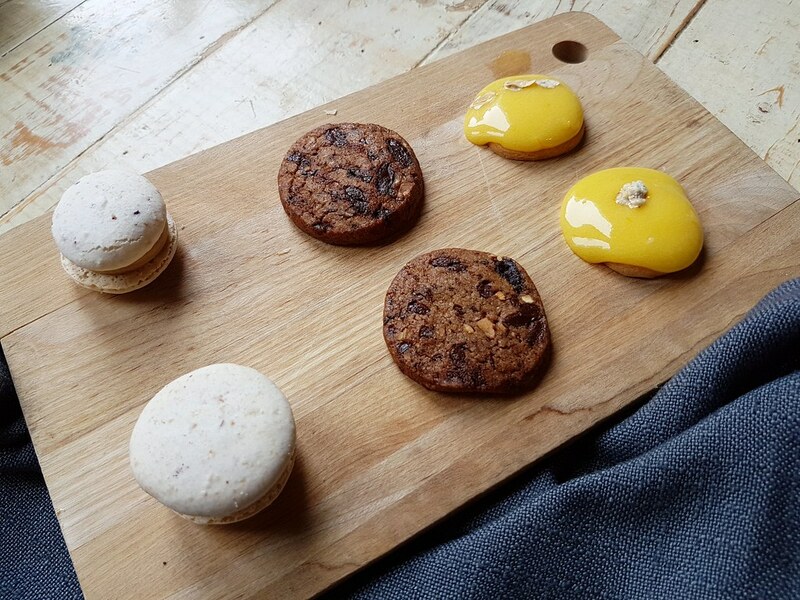 The Orange Cream Tartelette comes in dollops of smooth orange cream with a mildly sourish taste, Speculoos Macarons stuffed with a subtly sweet speculoos cream, and Cookies that boast a nice crunchiness and chocolatey flavour. Overall, a platter of desserts that features a contrast in textures and flavours that keep the palate from getting bored. 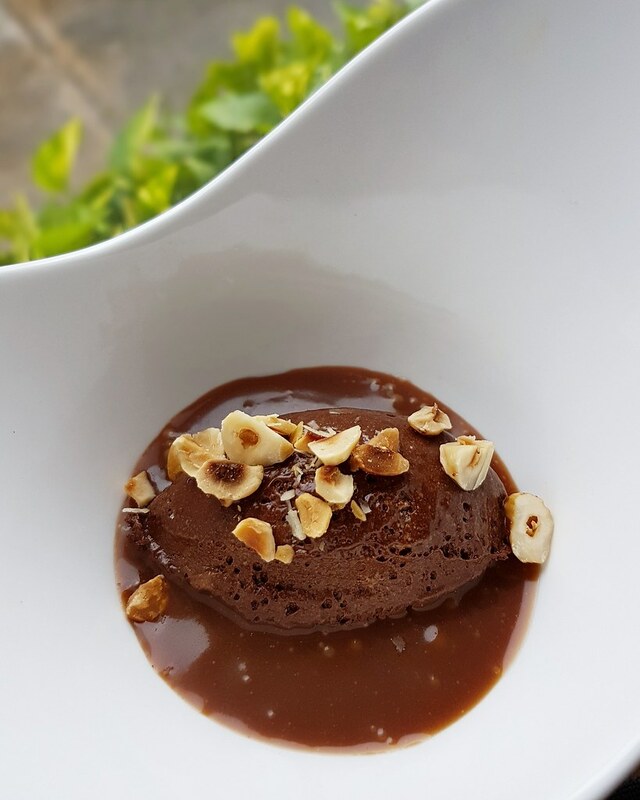 The Dark Chocolate Mousse with Salted Caramel features a smooth creamy chocolate mousse with a dark and intense flavour, subtle saltiness with the salted caramel, and served with roasted pecans for an additional crunch and nutty undertone. The last desserts dish we had is the Calamansi Sorbet, which features a refreshingly light and smooth calamansi sorbet, though its sourness is further augmented by the bed of pomelo flesh below. 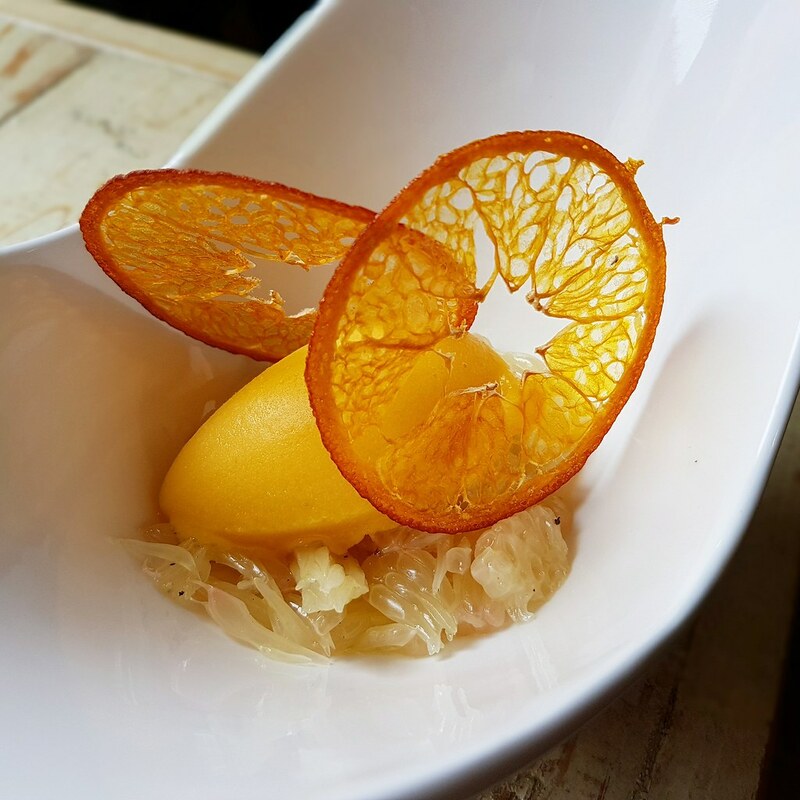 The candied berce and orange slices give a crunchy contrast to the smoothness of the sorbet, yet add a citusy note with just a subtle sweetness to the otherwise overwhelmingly sour dish. Audace tries to push boundaries and challenge the norm with continuous pursuit of innovative dishes. The food overall fares quite excellently with never ending elements of surprise when the menu changes very week.